Students who are deemed competent will receive a Statement of Attainment which is recognised under the Australian Qualifications Framework. This certification is nationally recognised. The Statement is issued by Pinnacle Safety and Training (RTO 40496). These units form partial completion of BSB41415 Certificate IV in Work Health and Safety. This course has been designed for supervisors and managers wanting to learn more about what work health and safety means in the workplace. The course aims to provide familiarisation with managing work health and safety requirements in line with legislative requirements and within a Work Health and Safety Management System. 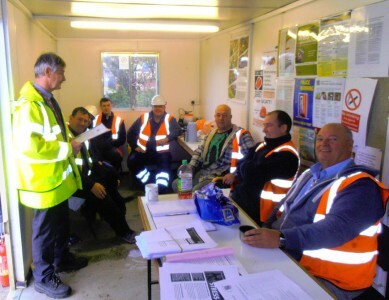 It will also assist supervisors and managers to effectively manage health and safety in their area of responsibility. Upon successful completion of this course participants will be issued with two units of competency towards the BSB41415 Certificate IV in Work Health and Safety. It was a great and useful course. Very passionate trainer and very knowledgeable on the content.